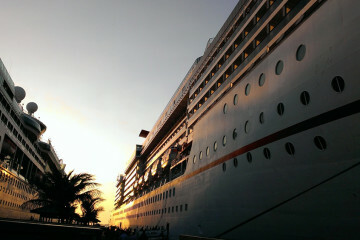 If you are planning to take a luxury cruise, chances are you are all set for the grand getaway, right? However, you may find yourself in a quandary on what to wear on Royal Caribbean cruises while in the middle of rummaging your closet. So before you start packing, take time to read on to help you decide what to bring along with you for your trip. Since the trip can probably cost you a significant amount of money, you would want to enjoy it as much as you can and avoid the hassle of worrying about having nothing appropriate to wear on certain occasions on the ship. If you are taking a seven-day cruise, it would be advisable to bring along a formal suit or dress. If you are wondering on what to wear on Royal Caribbean Cruises during evenings or if you are planning to dine on one of their plush restaurants, it would be best to have some classic clothing that will easily fit in the formal gathering. The most prevalent outfit in men are sport coats and neckties, and it is helpful to know that the wearing of denims in restaurants is generally discouraged. So what are the other guidelines to keep in mind when contemplating on what to wear on Royal Caribbean Cruises? It is requested that passengers would not wear shorts in public areas after six pm. As you might have gathered, Caribbean cruises can tend to be quite dressier than any other cruise, so it would be best to be forewarned than to suffer in anxiety of feeling under dressed and conspicuously out of place. Even minor matters such as the dress codes can potentially ruin your vacation. You should also make sure to bring along several swimwear so you will not encounter the problem of stepping again into a wet suit. Shoes for ladies should be low heeled to avoid difficulty in maneuvering atop the deck. On excursions, trainers or comfortable walking shoes would be ideal. Don’t bother on bringing a towel since fresh ones will be regularly provided in the cruise. If you have some close friends or family member who have gone on a luxury cruise, don’t hesitate to consult them on what to wear on Royal Caribbean Cruises. It is important to have the proper attire to fully enjoy all the activities and amenities on the ship and also avoid the possibility of being forced to buy some dresses on the ship. This will just cost you to make some unnecessary expenses.